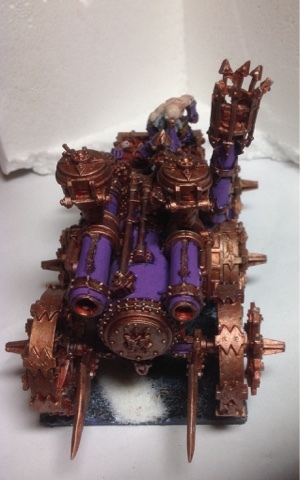 Finally finished my second infernal engine. 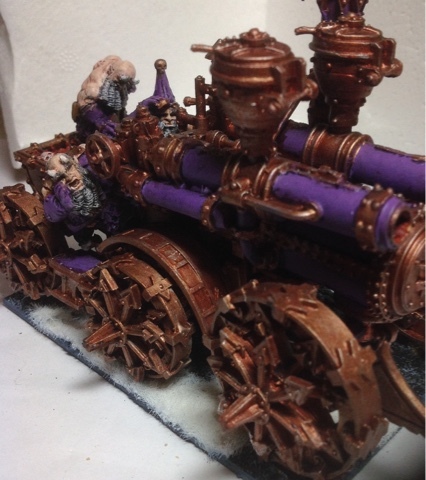 You can find pictures of my first with its custom death Rolla here. 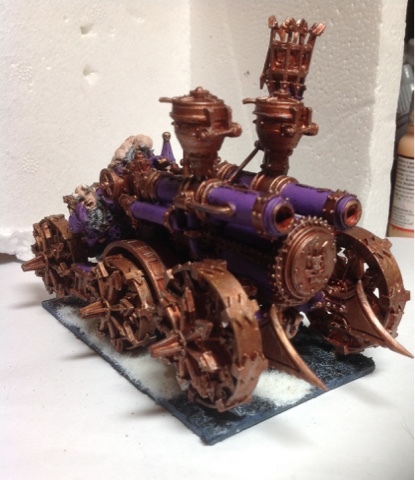 This miniature is one of Forge World's finest so is a worthy edition to my favourite miniature collection. In game terms I have only used the steam hammer version so am looking forward to my next game where I will see how the shrapnel guns go. 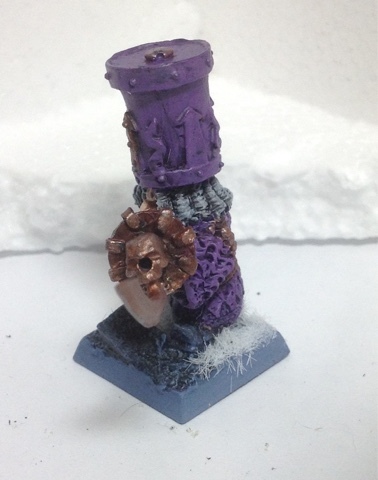 What made this mini easier to paint was a strong undercoat of a copper from tamaya that combined nicely with the Hashut copper (main colour) with mithrill silver (highlights) and a flesh wash I use. 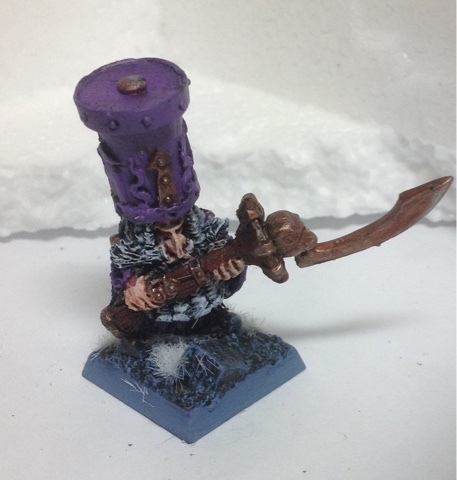 Next up is another of the zonk miniatures that I have converted to be a citadel guard armed with a flintlock axe. 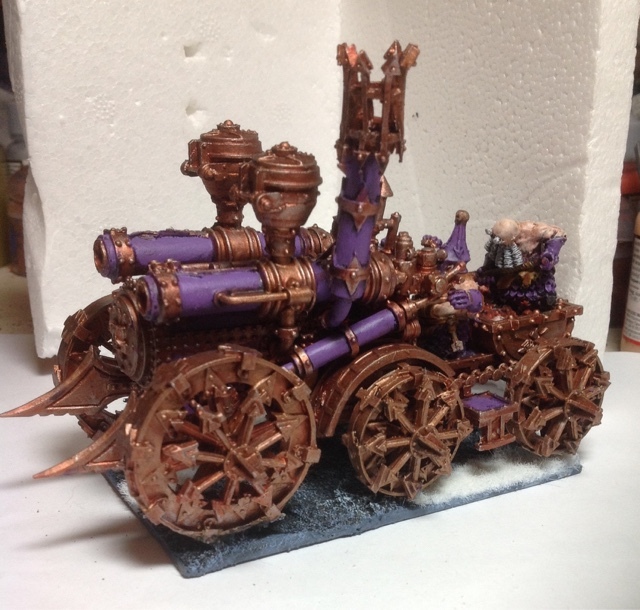 The halberd is from the tomb King chariot.